Installing KVM+WOK+Kimchi to provide DO Droplet alike in your office. Started another project with a new partner, I will be launching a new startup where this platform allows users to order gas in a single click We will be partnering with a new gas supplier in the market provides you with a composite cylinder gas which is more safe and lighter. We will start with an Android App and Follow by iOS later. Hello World. This is my first blog post. Useful contents will be posted here once in a while. My busy schedule wont allow me to post frequently. 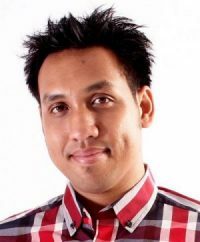 Nik Izwan Kamel born in Kuala Lumpur, Experience in IT industry for more than 15 years. A cryptocurrency believer and have huge interest in Blockchain Technology. Founded few companies including Ifcon Technology, IT and Drone Specialist, Ifmal Trade, an E-Commerce platform and Coin.my, a portal about blockchain and crypto world.